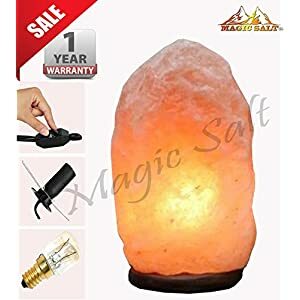 REDUCES ALLERGY AND ASTHMA SYMPTOMS: Because Magic Salt Himalayan Salt Lamp removes microscopic particles of dust, mold, mildew and pet dander from the surrounding air, it is beneficial to place it in the rooms where you spend majority of your time to cut back on allergy symptoms. People suffering from asthma will notice a big difference after using our therapeutic lamp for a week or two. NEUTRALIZES ELECTROMAGNETIC RADIATION: Long-term exposure to electromagnetic radiation causes serious health conditions like chronic fatigue, increased stress levels and decrease in the effectiveness of the immune system. 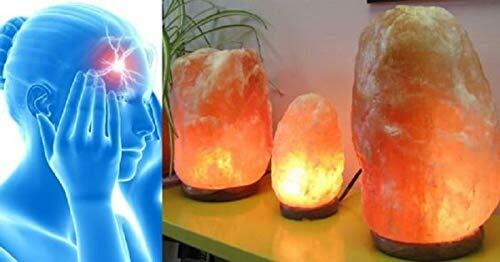 As our rock salt emits negative ions into the air, it neutralizes electromagnetic radiation. Keep it next to your computer, television and other electrical devices that you use on a regular basis to protect you and your family from the dangers of electromagnetic radiation. 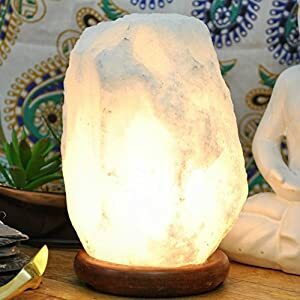 IMPROVES MOOD AND CONCENTRATION: Our Himalayan Salt Crystal Lamp is a great way to naturally improve your mood. It is effective in helping you to relax and unwind at the end of the day. 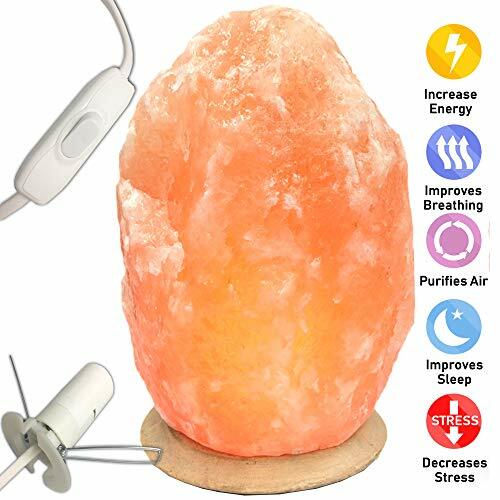 It also improves concentration due to the negative ions in your body thereby improving the supply of blood and oxygen to the brain and other organs in the body. Enjoy the healthy glow of nature! There are few things in life that’s as soothing and relaxing as the warm glow of a campfire. 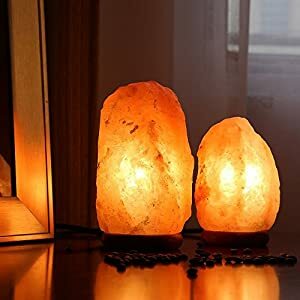 This same ambiance is offered in the home by our Himalayan salt lamp. 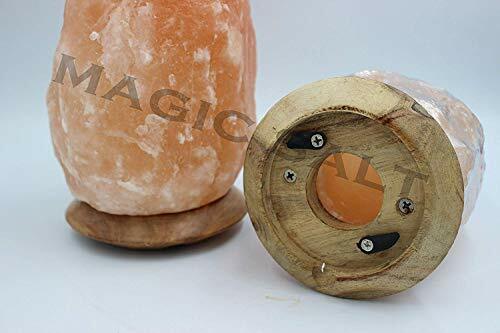 Magic Salt Himalayan Salt Crystal Lamp offers a nice warm glow when lit and it is beneficial for indoor air quality. It is made from pure, food grade Himalayan crystals (directly from Himalayan Mountains). 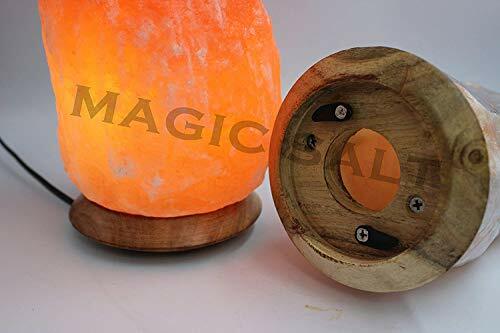 The warmth and natural beauty of its glow makes it a wonderful accent for any room and an outstanding gift for friends and loved ones. 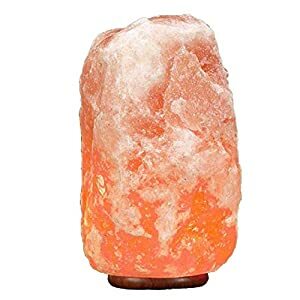 Our rock salt lamp provides a natural ambiance that enhances homes and offices. 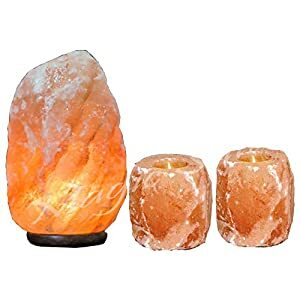 Our Himalayan Salt Crystal Lamp is carefully hand-crafted and professionally chosen for its premium color and natural warmth. 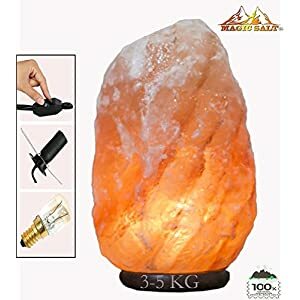 Strict quality control was employed to ensure it is an authentic richly-colored rock salt lamp with its unique character and to provide the perfect accent for your home and business. 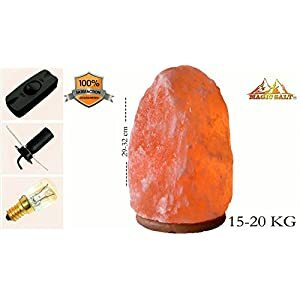 Magic Salt Himalayan Salt Lamp weighs 7-10 kg with height of 25-27 cm. It comes with CE certified electric fittings that are of UK standard. It also features 3 pin cables and E14 oven bulb that delivers the perfect ambiance for your room. 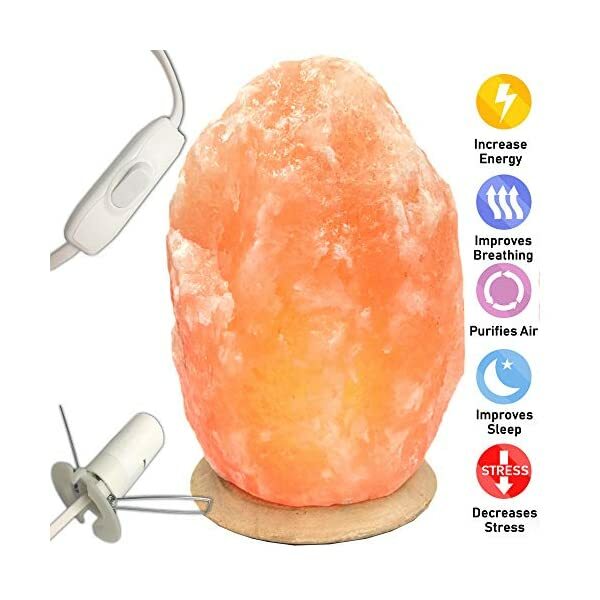 Our Himalayan Salt Lamp has hygroscopic properties that help to improve air quality. It helps in attracting pollutants in the air and also neutralizes the effects of electronics. The therapeutic lamp offers protection from harmful artificial blue light that causes eyestrain, headaches and mental fatigue. It lets off a beautiful pink glow that’s reminiscent of a sunset. Its wavelengths are relaxing to the mind and easier on the eyes. Click the “ADD TO CART” bar NOW to get yours. GREAT GIFT FOR SOMEONE SPECIAL: It is a gift that will not be forgotten. Your friends or loved ones will be attracted to it and will also naturally feel uplifted and happier due to its presence in their homes. 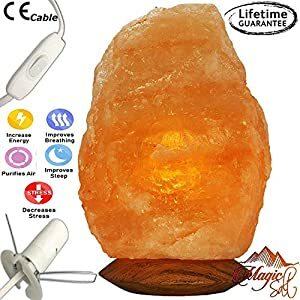 MAXIMUM SATISFACTION GUARANTEE: We stand behind our rock salt lamp with our professional customer services. We believe that if we give you a great product, then you’ll enjoy a healthy lifestyle that you crave for. We are committed to your complete satisfaction and will be ready to find a solution if you are not satisfied with your purchase.